On Ariana’s blippy, staccato new track, Nicki Minaj opens the song with a typically Minaj-esque rap, before Ariana joins in on the fun, talk-singing the title a few times before breaking into the fast-paced verses. The follow up to her moving ballad (and lead single) “No Tears Left to Cry,” “The Light Is Coming” is an exciting teaser for the possible diversity of her new album, Sweetener, to be released August 17. The album will be her first in two years and her fourth album overall. The album is reported to be approximately half produced by Max Martin, the superstar producer behind “No Tears,” with other tracks helmed by Pharrell. Other song titles known so far are God Is a Woman, Better Off, Successful, Raindrops, which interpolates Frankie Valli and the Four Seasons’ An Angel Cried, and a cover/remix of Imogen Heap’s Goodnight and Go, a song Grande has long admired. Recent RuPaul’s Drag Race starlet dropped this seven-song EP to great acclaim, with the album topping the dance charts shortly after its release. The album starts on a euphoric note with the title track, a song about taking chances and answering when opportunity knocks. Call My Life is followed by Irresistible, an upbeat dance number about the intoxication of lust…or is it, love? One Day at a Time deals with acceptance of life as it comes, an appropriate song given her recent life-changing stint on television. Now or Never is the album’s centerpiece as well as its lead single (wise choice). Barricade showcases Blair’s surprisingly smooth voice. This song is followed up by the somewhat throwaway (compared to the other songs) track America’s Sweetheart, featuring Alaska. The album closes with a remix of Now or Never. The album should please listeners and sounds at home among modern queer pop like that of Sakima and Alex Aris. Christina Aguilera has spent the past two decades trying to figure out what to do with her immense voice. Throughout various (hit and miss) conceptual projects, her inimitable voice has remained the star. However, she’s guilty-as-charged for often overworking her instrument and letting her producers occasionally do the same with her tracks. On Liberation, an album described to me recently as “weird; very 2018,” she typically has her hand in many cookie jars, exploring various genres in search of a story for the listener. She throws shade at her tenure on The Voice over a bluesy rock track on Sick of Sittin’; works dancehall for all it’s worth on Right Moves; duets with powerhouse-in-her-own-right Demi Lovato; and let's GoldLink handily assist on a hip-hop number – of which there are several here. The album’s standout – because it’s the least worked – track is Twice, near the album’s middle. Later, she whines about toxic love over a soft electro shuffle on Masochist and closes with a classically-Aguilera power ballad detailing her marriage-phobia. Oh, also, there’s a song about a (crack? weed?) pipe. 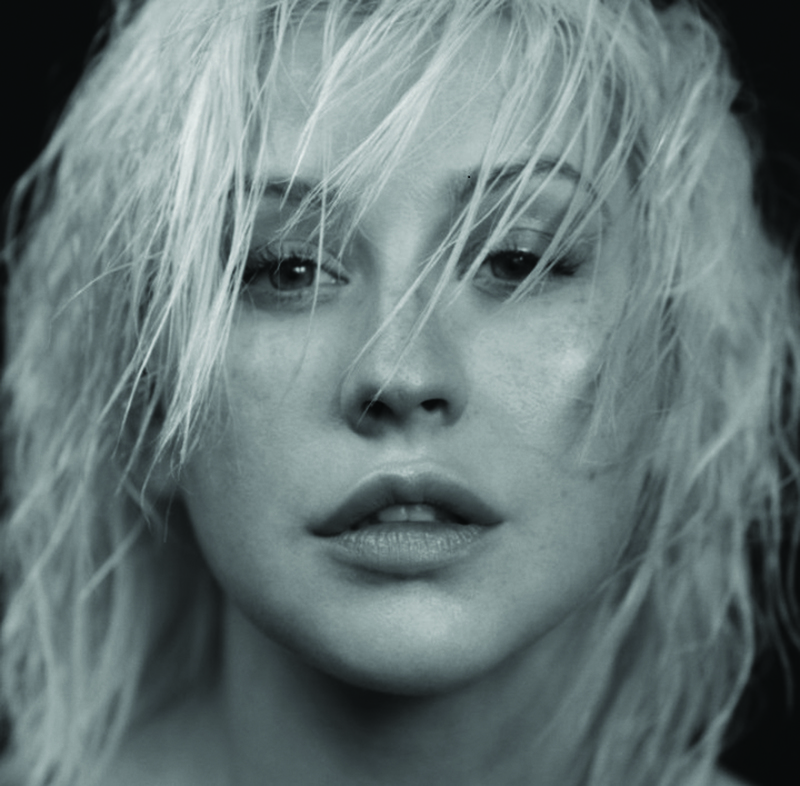 Aguilera’s trademark feminist empowerment theme prevails, but the interludes peppered throughout seem unnecessary, and don’t contribute much to the narrative she’s pushing, even if they are on-theme. In the end, Liberation feels a bit less that and a bit more lost in the trappings of trying on too many hats, without a whole lot of new information to provide. There’s no breakthrough storyline here that advances the artist’s oeuvre and message, in the way that pivotal albums like Madonna’s Ray of Light and R.E.M.’s Automatic for the People, did for those artists. The album’s not bad, but as a whole, it doesn’t rank among her best works. Copyright The Gayly. 8/10/2018 @ 10:51 a.m.